Bursa, a town located in the northwestern part of Turkey, once served as the capital for the Ottoman Turks from 1326 to 1365. Today, archaeological museums, thermal baths, mausoleums and mosques fill the city. Additionally, the city is located near Mount Uludağ. Bursa was the original capital of the Ottoman Empire after the Turks captured it during the Middle Ages. Here the first sultans ruled and were buried. Many of the mosques and tombs date to that time. Today the Turks refer to the city as "Yesil Bursa" (Green Bursa) in honor of both Islam and the city's cool, green climate. very beautiful place. The weather is amazing and the natural sights are breathless. Bursa is the gateway to Uludag, one of Turkey's premier ski resorts. 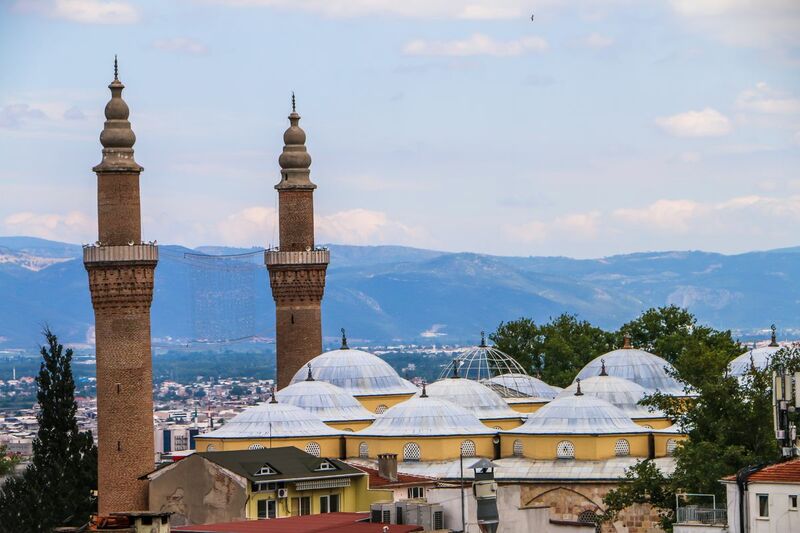 The city itself is the fourth largest in Turkey and as such has its fare share of urban sprawl but despite the advent of modernity the charms of the Ottoman Empire spill through the cracks with evocative bazaars, hammans, parapets and mosques that remind you of where you are. I can not forget this place because of its beauty becsause it is like a mountain/hills kind of place. During winter, when you travel to Bursa, the fog is so dense, you can have claustrophobia. I got scared because I almost passed out because of claustrophobia. But it so so beautiful.